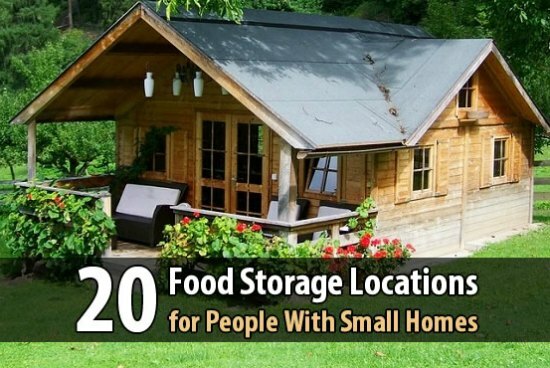 Do you have a small home without a lot of storage space for extra food? Adding more storage may not be an option and means another solution will be needed. You may be surprised to know your home can actually have a lot of food storage locations available. One important thing to keep in mind about food storage locations is the type of food. Most areas to use for storing food will be inside and this means you can only store dry food. All you need to do is look at locations for storage that are outside the box. You will need to thoroughly declutter your home to use many really terrific food storage locations. This includes any closets, under the stairs, and even above your cupboards. Do you have a crawlspace that can be used to store food? There may be many areas in your home that will be perfect to use for food storage.